Creation: Appeared as a replacement for US 23-58 ALT in 1994, and was designated to do this in the August 1991 CTB Minutes. Ran as it does today. This is the 2nd VA 283. Improvements: Paved upon inception; 4-lane expressway since inception. Posted: Does not seem to be posted at US 23-58 ALT. 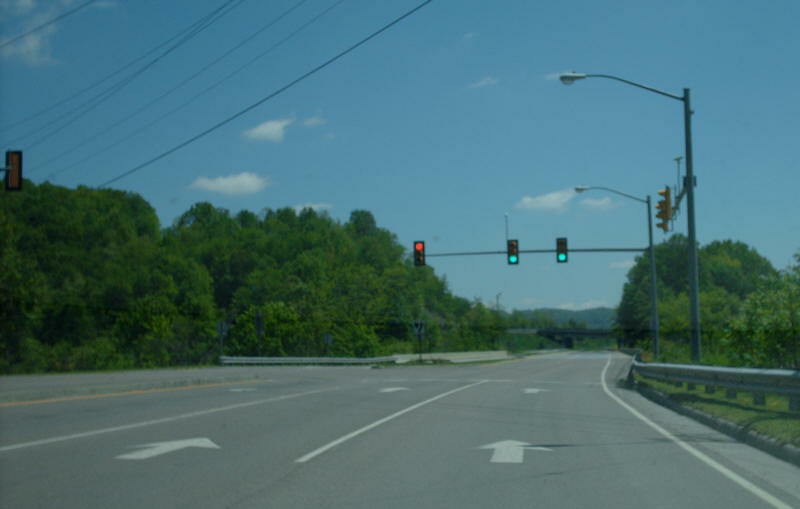 In fact, at the offramp from US 23 NB, it is signed as US 58 ALT Business. Dave reports in June 2002 that there are no VA 283 signs anywhere which was still true when I finally got out there several years later, and still true as of this writing. Comment: Provides direct access from US 58 ALT to Norton, if you are opposed to using VA 74. VA 283 #1: Appeared in July 1933 as a renumbering of a small bit of VA 306. Ran from VA 56 near US 60 jct to SR 601. 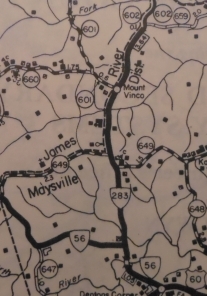 In Sept 1937 (CTB), VA 283 was extended over SR 602 to SR 655 near Glenmore. 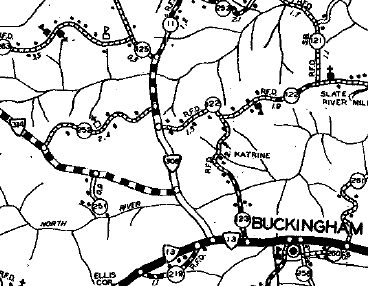 VA 283 north was truncated 3 miles to about SR 659, replaced by SR 602 in September 1942 (CTB Minutes). 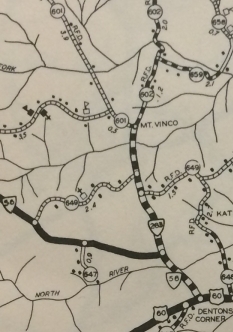 The remaining 3.6 miles of VA 283 were downgraded to SR 602 in May 1943 (CTB Minutes).